My 12th giveaway is a £100 voucher for Joules. That epitome of country quality. You know what I mean! 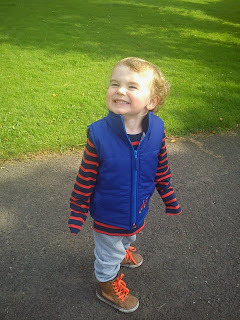 I first came across Joules when I bought Cooper a lovely wee gilet (I would say body-warmer, but we are talking Joules here darling!) and was instantly impressed. It can be a bit pricey as a brand, but you know you are going to get some lovely quality goods and something a bit different. What I didn't know until recently is that they also do some lovely homeware too. Oh and don't forget to check out their outlet page for some bargains as well as their home and garden page. Of course you can buy whatever you like with your voucher if you win. So would you like a £100 voucher to spend in Joules? OK, all you have to do is leave a comment telling me what your favourite kind of cake is and then enter using the rafflecopter box below. 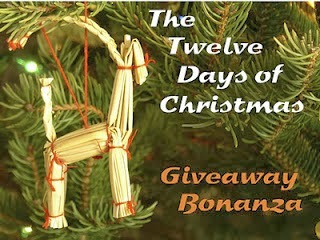 This giveaway is UK only and runs until the 31 December 2013. The winner will be announced on 1 January 2014. 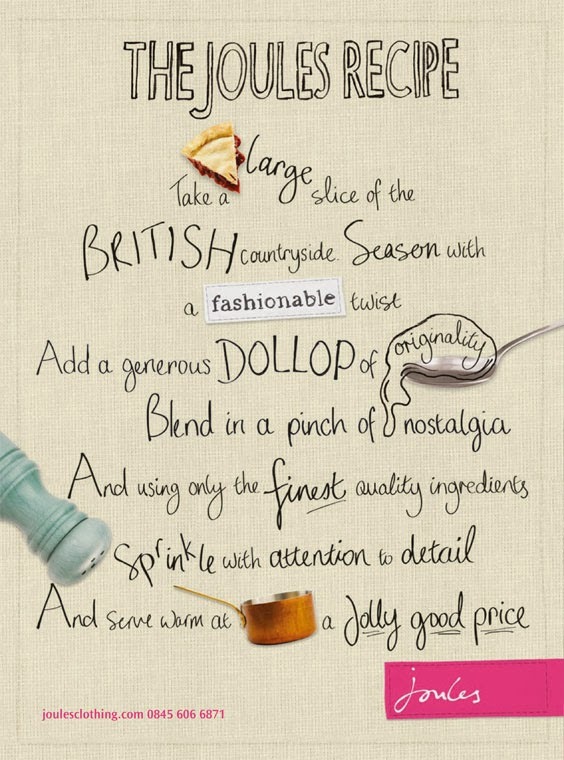 Disclosure: Joules kindly sent me a voucher to use in their online store as well as providing one for one lucky reader. I was not required to write a positive review and any opinions expressed are my own. Date & walnut cake always been a favourite, my mother made one every Christmas. Favourite cake? Of all the cakes in the world? Black forest gateau, ginger cake, or 'surprise cake' (the surprise being that it's a chocolate cake made from mashed potato and all-bran). In our family we have the best fruitcake ever, known as Daisy's Best Boiled Fruitcake, from a recipe several generations old. I love Joules clothes !! My favourite cake has to be Lemon Drizzle Cake which sadly I can no longer eat as lemons make me ill, I have been known to eat a small piece just the same! You can't beat chocolate fudge cake!! Black bottom cupcakes from the Hummingbird Bakery - bliss! Chocolate Fudge Cake for me too. Well I am a chocoholic! Cheesecake :) I had one as a birthday cake this year !! Double chocolate fudge cake - warmed with vanilla icecream!! My current favourite is cranberry upside down cake with a chilli twist. My favourite cake is a classic Victoria sponge. Nutella cake, I like it because it's really simpe to make and tastes great. 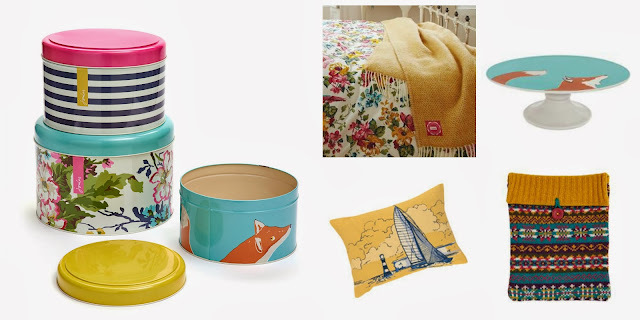 I didn't know Joules did homewares either - they're lovely. I think my favourite cake is coffee and walnut but it has to be lovely and fresh. Pete made a chocolate and stout one that I love love love! My favourite cake is anything with chocolate in it! I love the Miette hot milk cake, totally delicious! I love my nans welsh cakes, absolutely delicious! Orange Dondi cake which is a really moist orange cake with fresh orange juice in yum! Victoria sponge with lots of cream and jam in the middle! A toss up between Cucumber Lemon Cake and Parsnip Madeira. A vegan multi layered devils food cake! My mother in law's homemade Christmas Pud. Nom! It has to be lemon drizzle cake! Dairy free nutty chocolate. Divine. Has to be warm Pecan pie with cream. Delicious. Even nicer if its boozy cream! Christmas cake and I can't wait until I get to eat it in a few weeks time! I kind of love all cake lol a good carrot cake or Coffee and walnut! A lovely carrot cake I had on holiday in Florida, never had anything else as good as that! Coffee cake with soft vanilla and coffee icing and walnuts arranged in it. my partner makes this and its amazing. Red velvet - but can't seem to find a great version here. Oh yes yes yes please I love Joules!!! My favourite cake flavour is orange with chocolate chips! Chocolate mayonnaise cake is divine! I do love a good fruity cake, and in particular I like Panforte at Christmas. My ultimate cake is Nigella's fruited chocolate cake. I modified the recipe with my own mix of dates, chestnuts, cranberries & raisins and it's really fab! Lemon Drizzle - I make a slightly lemon heavier version of Tana Ramsey's recipe... so good! Classic Victoria Sponge...with plenty of jam! Marzipan topped, walnut cake with strawberry jam slices. Definitely iced Christmas cake. I look forward to it every year! Victoria Sponge with fresh strawberries. It's got to be chocolate - I made a nice one recently that used vinegar (which you couldn't taste)! Carrot cake, the carrot makes me feel less guilty. at this time of year STollen!